Home › News › Throw a Resolution-ary New Years Party! Throw a Resolution-ary New Years Party! Hosting New Years this year? Make it a resolution to have one of the best times you and your friends and family have ever had by trying some of these ideas below! A well stocked bar is a sign of a great host/hostess. Find out what you need to be the best party thrower this New Years with a tutorial about how you should stock your bar. Remember, it's okay to ask your friends to bring things too! This is just a guideline to help you stock up on what you need and leave out what you don't. Having a couple signature drinks at your New Years Eve party will make shopping for booze and keeping up with refilling glasses easier. Here, you'll learn how to make a Champagne Cosmopolitan and Cotton Candy Spritzer using real cotton candy. Start working on your bartending skills by watching this video! New Years is all about the glitz and glamour. That doesn't mean you have to go crazy buying new things though. 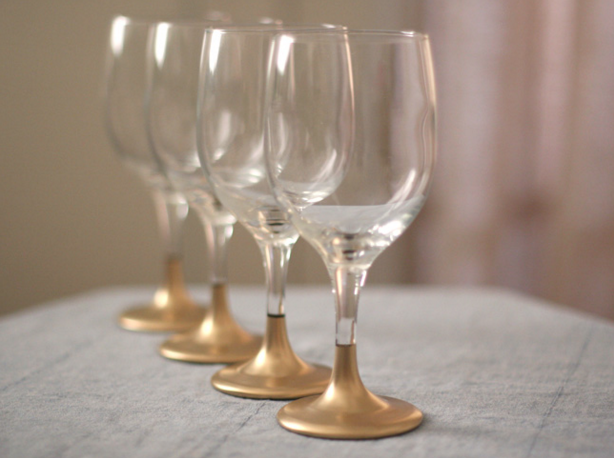 Dress up some of your current barware with a little gold paint and you'll instantly add a pop of pizazz that will help you ring in the New Year in style. Garnish glasses or table with gold candy pieces to ramp it up a notch. You're probably already stocked up on Champagne, but what should you do to make your menu scream "New Years!"? Change up your servingware! 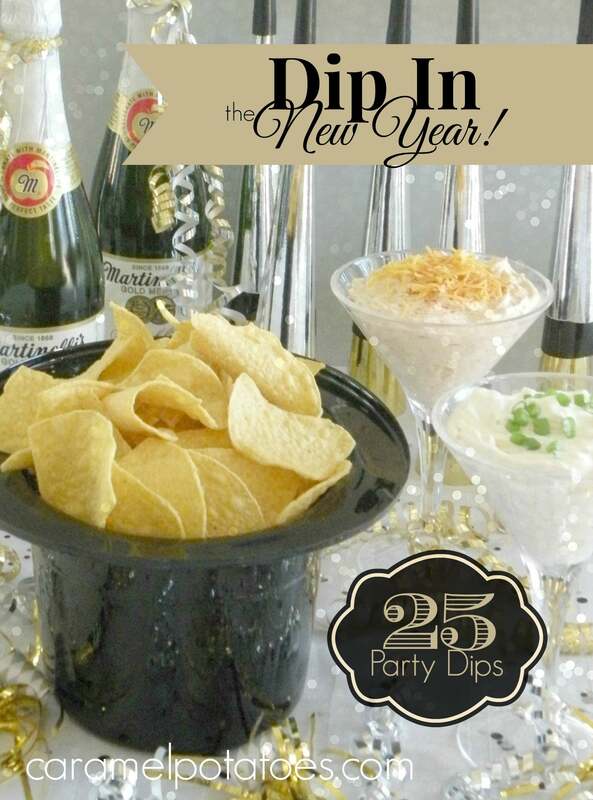 By putting chips into New Years top hats, pouring dip into martini glasses, adding confetti to your appetizer table, and using Champagne bottles as decoration before you pop them open, you'll have an easy and cheap design element. Get your guests in the holiday spirit by giving them a fun accessory at the door. Make some of these beautiful hats with excess garland and wrapping paper from Christmas. That way, you can use up what you have without spending a ton! 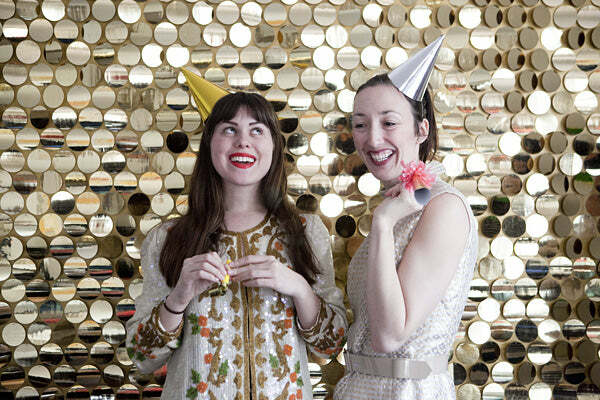 Plus, these handmade versions are a big step up from the regular party store variety of party hats. Champagne is THE drink of New Years Eve. And it's no secret why. It's always exciting to hear that "pop" of a Champagne bottle while celebrating. 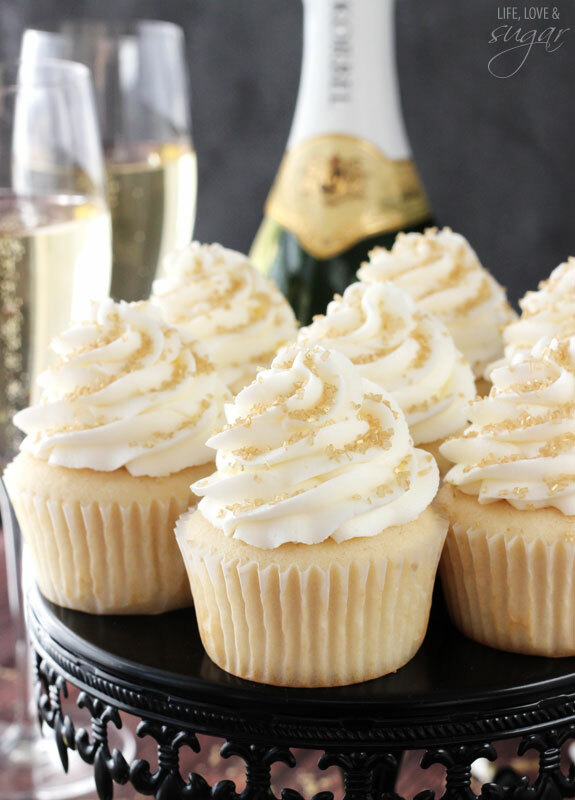 With these Champagne cupcakes, you can add even more razzle-dazzle to your New Years party. They're light, delicate, and with an embellishment of gold sprinkles, they're real show-stoppers. Decorate their tray with little Champagne bubbles candy from Jelly Belly. Photo booths and selfies are extremely popular these days. Give your guests a focal point to snap some photos this New Years Eve that will also act double duty as a fun decor piece. Use either large confetti pieces and stick them to the wall or use a bunch of decorative party store garlands and string them up next to each other so they hang down from the ceiling. The ball drop in Times Square is one of the first things that pops into anyone's head when they think of New Years Eve. Make your very own ball light with some plastic cups and string lights. This tutorial will show you how to do it all. Everyone has different tastes when it comes to decor. That's why we love this video so much-because it has 30 ideas! Watch the montage and get your brain going on how you can dress up your home for your New Years party this year. Pasta isn't just for children's crafts or Italian restaurants. 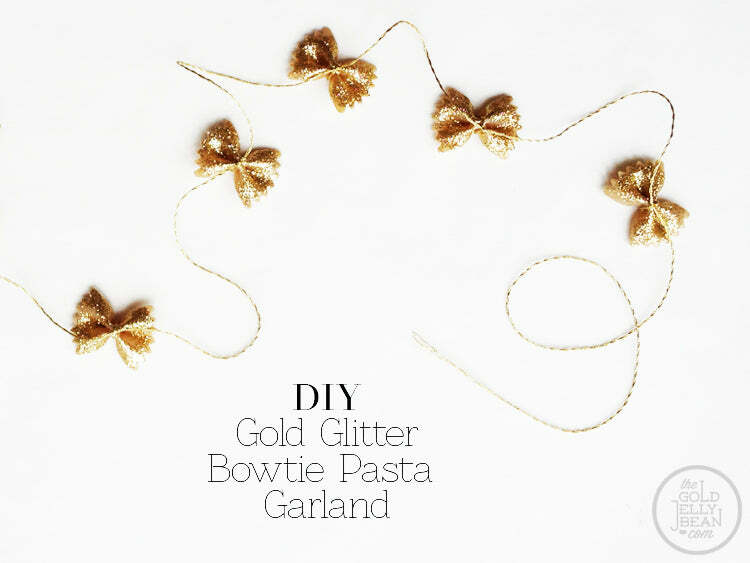 In this DIY project, you can spray paint dry bow tie pasta with glittery colors and then string them onto gilded rope. The results will be sparkly and magical on December 31. Try hanging these like a beaded curtain, or drape them on the ceiling for added depth and texture. 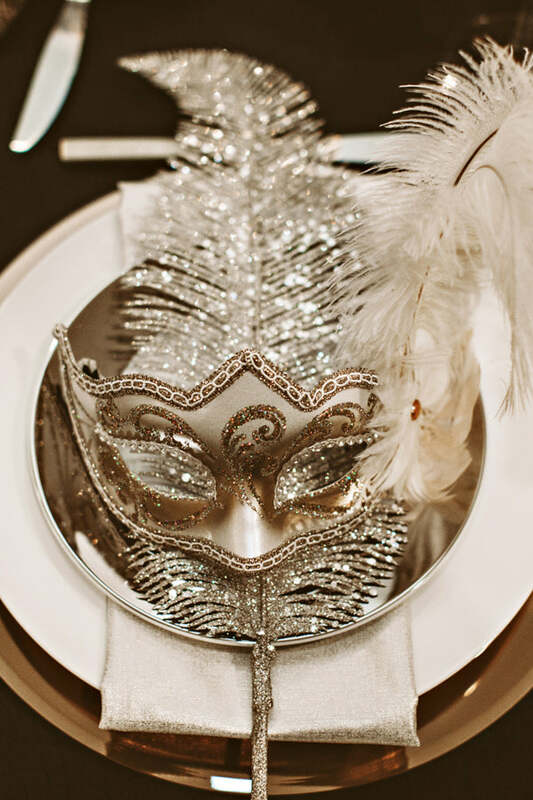 Dress to impress this New Years and encourage your guests to do so too by setting out masks for them to wear. We love the metallic and feather motif here, but you can do whatever you love most. Set them out on the table or put them in a basket by the front door. Party poppers have been around for years and these homemade ones look great on the table as place settings or in a container by the refreshments table. With confetti, some ribbon, and tissue paper, you'll have poppers to give out to all of your guests to pop at midnight. 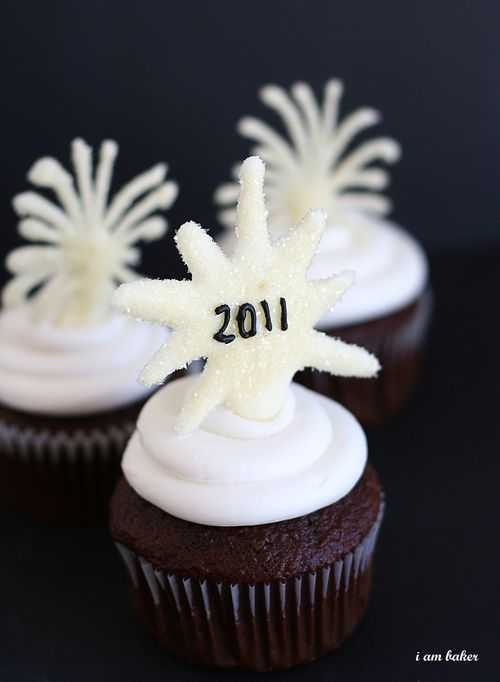 Make your own New Years desserts like these cupcakes! The recipe and construction is pretty easy and the end results are both beautiful and yummy. Use a clear cake dome to display these sweets before you're ready to eat them or wrap them up as party favors for your guests to take home at the end of a long, fun night.